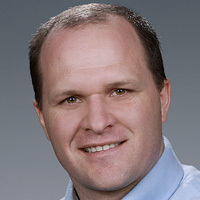 Dr. Tim Johnson is a computational scientist at the Department of Energy’s Pacific Northwest National Laboratory (PNNL) in Richland, Washington with over 12 years of experience in subsurface geophysical imaging and interpretation related to complex environmental challenges and energy applications. He is nationally and internationally recognized for his work in electrical resistivity tomography (ERT) as a characterization and monitoring technology. He pioneered the development of E4D-RT, a real-time, four-dimensional subsurface imaging software that allows scientists to “see” subsurface processes in real time, which was recognized as one of the 100 most innovative technologies of 2016 by R&D Magazine. He has published over 50 peer-reviewed journal articles and has an H-index of 17. He is currently focused on joint inversion of disparate multi-physical data sets using parallel computing to image the properties that control subsurface processes. In this talk we demonstrate how new capabilities in Electrical Resistivity Tomography imaging are being used to understand distributions of subsurface properties and processes at complex remediation sites. We begin with examples from the Hanford site including 3D imaging of vadose zone contaminant distributions, 3D time-lapse imaging (i.e. 4D) imaging of stage driven ground-water/river water interactions, 4D imaging of engineered vadose zone desiccation, and real time 4D imaging of chemical amendment delivery for uranium contaminant immobilization. We then demonstrate how the same technology is being used to characterize rock fabric in complex fractured rock formations, and to monitor fluid transport through fractured rock in 4D. These capabilities are reducing remediation risk and cost by enabling comprehensive assessment of remediation performance and the distribution of properties that govern subsurface transport.